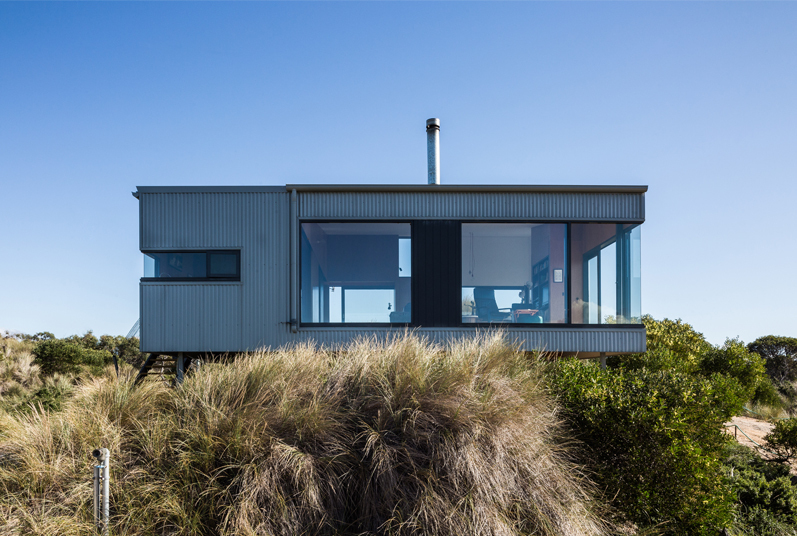 The key concept for the holiday home on the beautiful East Coast of Tasmania was to design a platform for winter living. 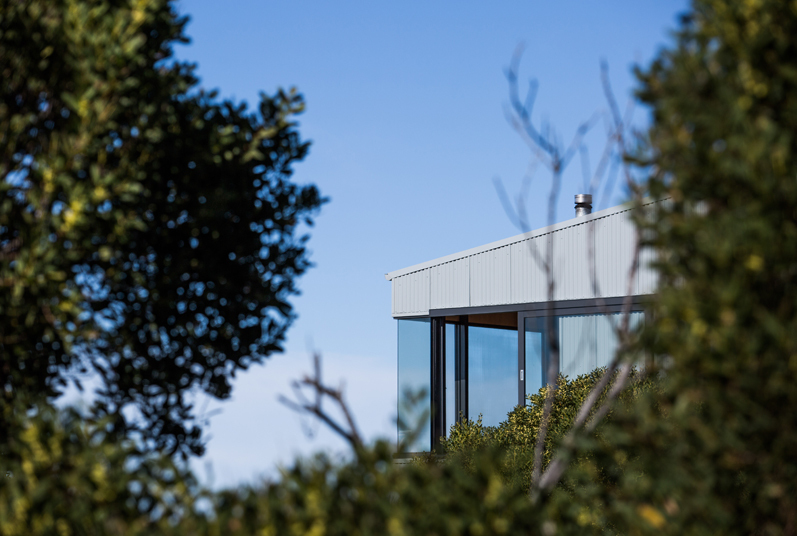 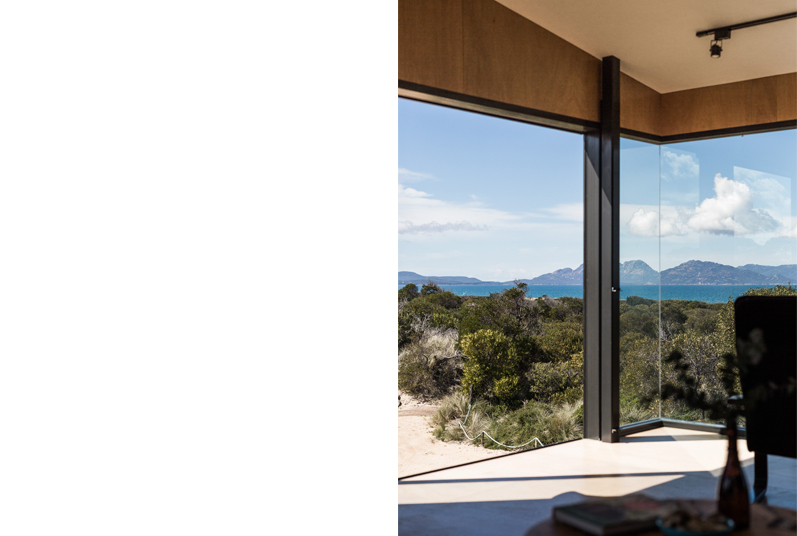 The building gestures towards the sun from behind, yet orients users towards the beautiful Freycinet Peninsula to the south. 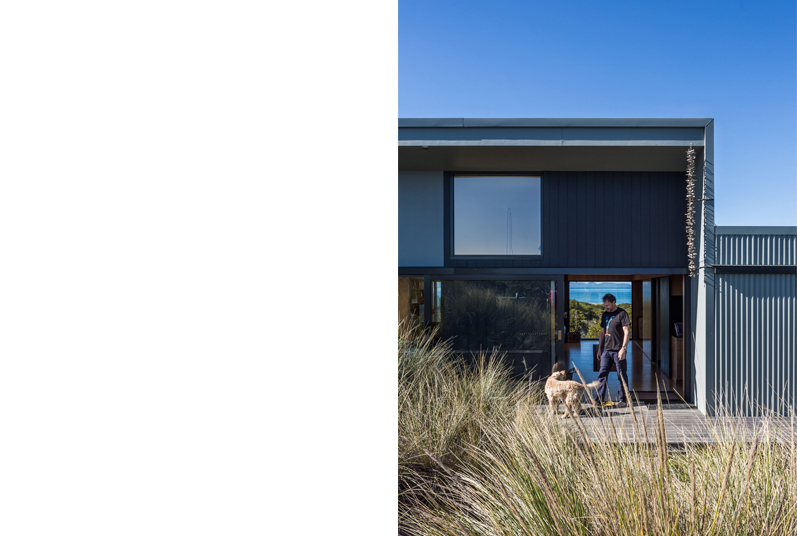 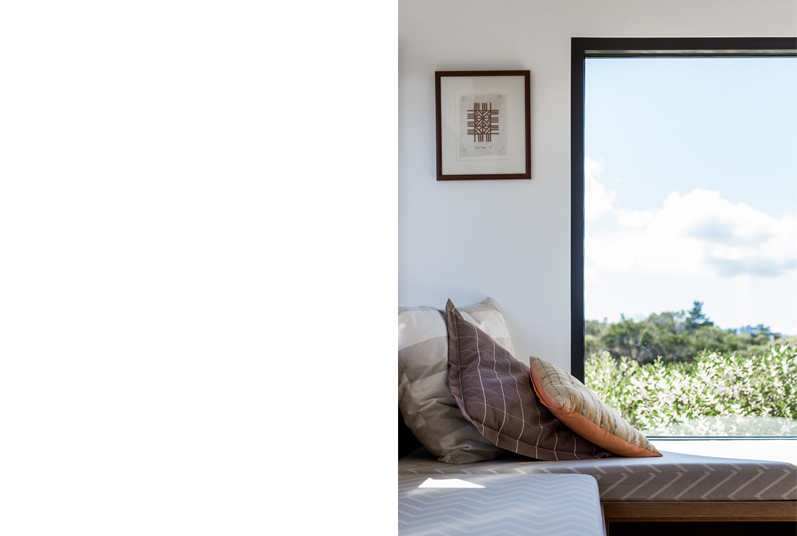 For the clients, a desire to sit with the sun on their backs looking down the coastline was what shack living and a home away from home was all about. 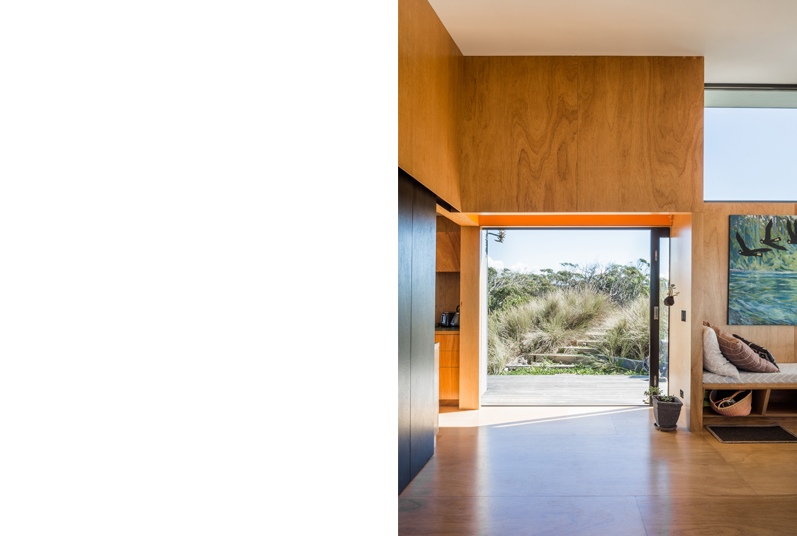 Internally, emphasis is placed on the social spaces of the home. 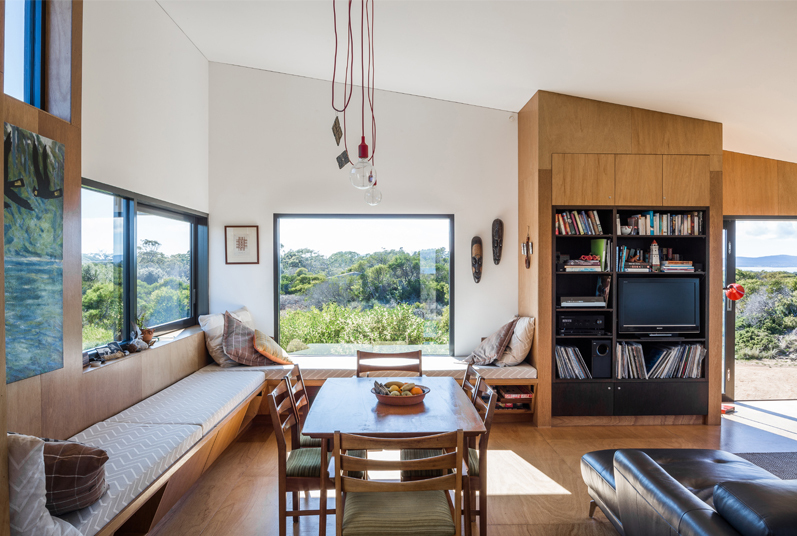 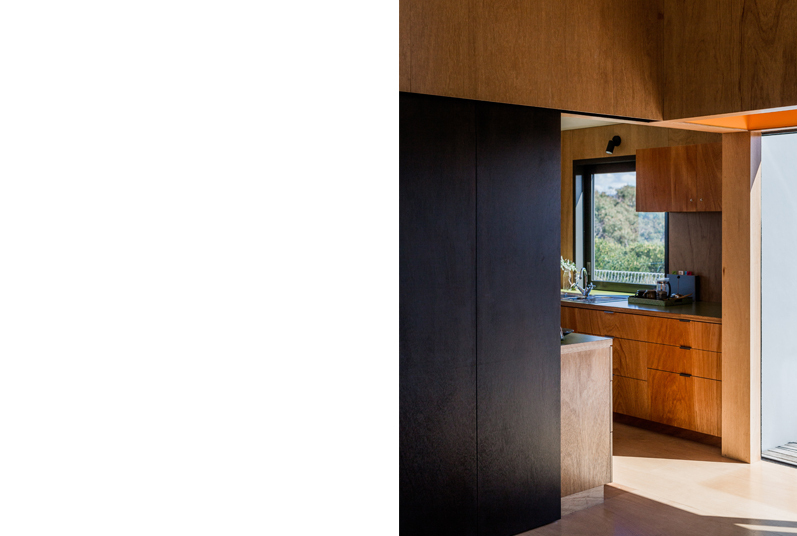 Central to the scheme is a large dining table and corner window seat that are both bathed in sunlight. 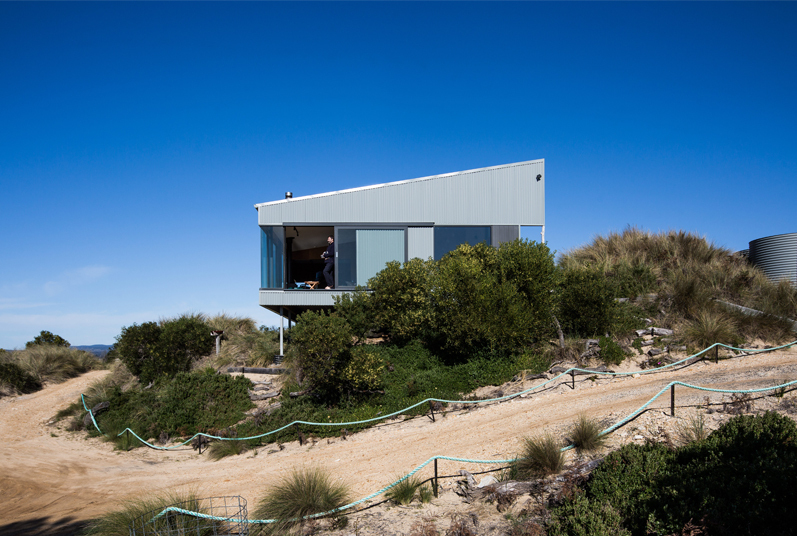 A small and sheltered north facing deck allows for a physical connection to the dune at the rear and is sheltered from the prevailing winds.